2016 was a momentous year – the UK voted to leave the EU and Donald Trump won the Presidential election in USA. Most political analysts agreed that this was, in part, because of increasing levels of inequality. The world also faced the biggest refugee crisis since World War II and still struggles to find any solution to the problem. ME & ROBIN HOOD is my response to how the growing gap between the rich and the poor is affecting the way the world is being shaped. It’s my attempt to encourage us to imagine the lives of those living without the opportunities ‘we’ have – ‘we’, the liberal-minded, well-educated theatre-going public. It’s my attempt to encourage ‘us’ to do something about it, because, as Chomsky says, the growing gap between rich and poor isn’t good for anyone in society. ME & ROBIN HOOD is made to raise money for Street Child United World Cup 2018. The show connects audiences to the charity via it’s narrative content. The show leaves audiences to imagine a reality in which it is possible for ‘us’ to effect change. ‘We’ have the possibility of making the world a better place. Individually, our generosity can make a difference. •	What sort of person do you want to be? •	What sort of world do you want to live in? These two questions lead me to asking – is this show ‘worthwhile’ making? Because I need to believe that the show matters. We want to connect our audience to Street Child United in order to strengthen the purpose and reach of the work. We want our work to matter and make audiences feel they can make a positive difference. The Duke, which began touring in 2016, continues to be a tremendous on-going success, capturing the public’s imagination with its combination of theatre and fundraising. It has raised over £36,500 for Save The Children’s Child Refugee Crisis so far. ME & ROBIN HOOD builds on the success of The Duke, asking audiences to consider their relationship to those living in poverty and reflect on the opportunities that life has offered them. It playfully challenges our relationship with the banks and flirts with the romantic idea of becoming a radical revolutionary that can save the world. It gives the audience the chance to offer an opportunity to a child living on the streets to go to Street Child United’s 2018 World Cup and start to change their life. 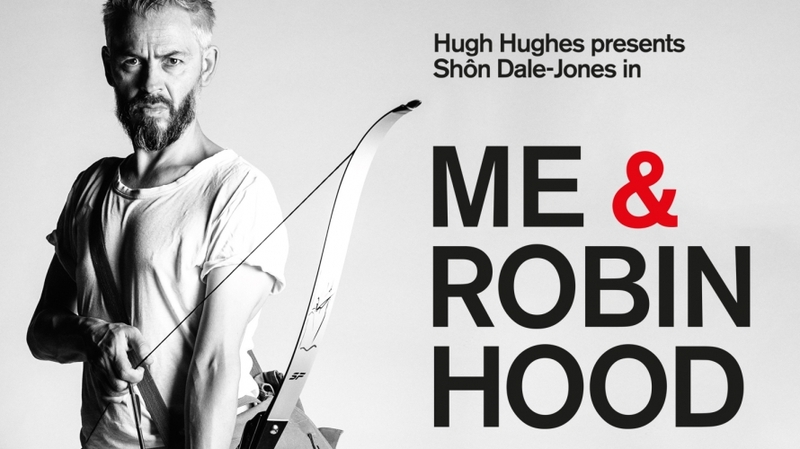 ME & ROBIN HOOD comes to the Theatre Royal Plymouth from Tuesday 26th September for just two weeks, following runs at this year’s Edinburgh Fringe and the Royal Court.